· The official school of the Alvin Ailey Dance Theater has partnered with Fordham University to offer a liberal arts education and a BFA degree in dance performance. All dance students take classes at the Lincoln Center Campus. · Students take a curriculum of classical ballet, Horton and Graham-based modern dance. Performance opportunities are offered among various venues in New York City. · By the numbers: 43% Fordham University acceptance rate; Mid-range SAT scores: CR 570-670, M 580-670; ACT mid-range 26-30. · The College of Performing Arts offers a BA in Dance, where all dance majors begin. In junior year a BFA in Dance Performance is offered to selected students who audition in the spring of their sophomore year. · Students achieve competency in ballet, jazz, and modern technique along with experience in choreography, performance, production, dance science, and teaching. · By the numbers: 45% overall acceptance rate; Mid-range SAT scores: CR 550-640, M 570-660; Mid range ACT 24-29. · All applicants to the Conservatory of Performing Arts complete an audition and are placed in either a Bachelor of Arts track or a Bachelor of Performing Arts path based on the audition. 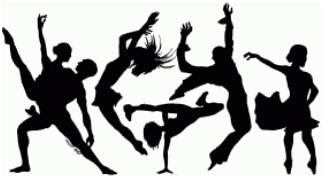 · Concentrations within the dance program include BA and BFA degrees in Ballet, Modern, Jazz and a BA in Dance Pedagogy. · The dance program offers four levels of dance in ballet, modern, and jazz, and two levels of tap; also offered are hip hop and instruction in world dance technique. Juniors must declare a major concentration in either jazz or modern. · sjDANCEco is the resident SJSU professional dance company, where students are taught and mentored by the founding members of the company. · By the numbers: 64% overall acceptance rate; Mid-range SAT scores: CR 430-560, M 450-600; ACT Mid-range 19-26. · The BFA in Dance Performance at the Meadows School of the Arts requires a minimum of 38 hours of studio training in ballet, jazz and modern dance, with a concentration in one area declared for junior and senior year. · The Division of Dance at SMU collaborates with professional dance organizations TITAS and Texas Ballet Theater to forge relationships between dance students and working dance professionals. · By the numbers: 51% overall acceptance rate; Mid-range SAT scores: CR 600-690, M 620-700; ACT Mid-range: 27-31. Other colleges and universities with conservatory-style professional dance training include Brigham Young University (UT), Butler University (IN), Florida State University, The Julliard School (NY), Ohio University, Rutgers University (NJ), Temple University (PA), University of Texas at Austin. A complete list of dance programs accredited by the National Association of Schools of Dance is a good place to begin your search. Another good list can be found on the web at Step N Stretch.com, or pick up a copy of Creative Colleges: A Guide for Student Actors, Artists, Dancers, Musicians and Writers by Elaina Loveland.